You’ll probably have noticed by now my obsession with piano trios in Jazz. The piano trio form in Jazz clearly comes from the US. I’ve already written about the 3 giants, Keith Jarrett, see here and here, Oscar Peterson, see here, and the obvious Bill Evans (see here). However, these days many of my favorite trios seem to be European. I just listened to the album below recently again, and felt the urge to write about a very nice mixture of Scandinavia and Italy here. Bollani enrolled at the local conservatory in Florence to learn the piano at the tender age of 11. He played quite a lot with Enrico Rava, an excellent Italian trumpet player. He also has recorded quite a bit with other big names in Jazz as well. Bollani even released a recording of Gershwin’s piano concerto with Riccardo Chailly and the Gewandhaus, no less (on Decca). The latter by the way is an interesting version, he takes quite some liberties on this album, but it is certainly well worth hearing. His recent duo with Chick Corea on ECM (Orvieto) is also worth checking out. 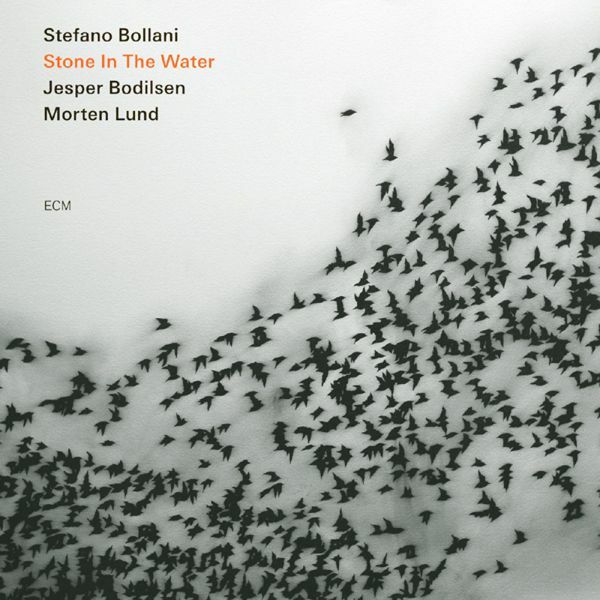 Stone In the Water starts very strong with Dom De Iludir, a soft, melancholic ballad, and overall this album remains in the typical ECM “house sound” of what I would describe as “delicate and nuanced”. I also very much appreciate the occasional Brazilian influences in already the first track (written by a Brazilian), but also Brigas Nunca Mais. The interplay between the three musicians is very fine, they really listen to each other. I cannot find a single track on this album I don’t like. In summary, sometimes, less is more. As usual with ECM, the recording quality is outstanding. You can download it here (Qobuz) or here (GubeMusic).